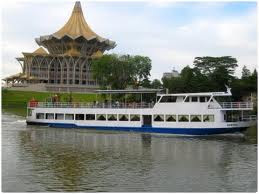 The Sarawak River Cruise is a fantastic way to view the city and the past historical landmarks of Kuching. The river cruises give you an unobstructed view of the city and its surroundings that is impossible to experience from dry land. 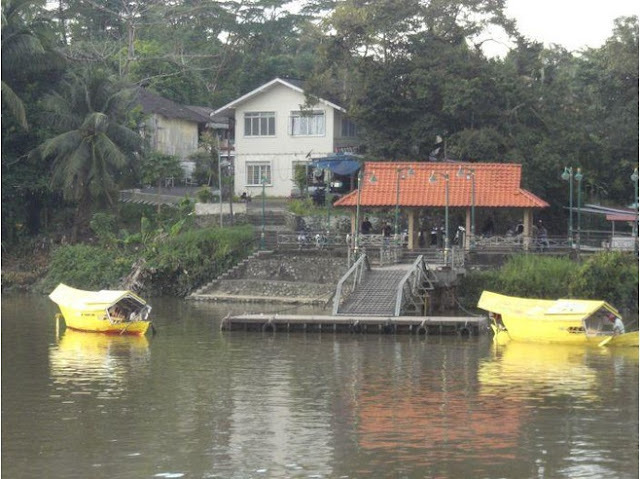 ~ You will pass 'tambangs' (also known as gondolas of the East) - used for ferrying locals across the river from the Malay Villages. 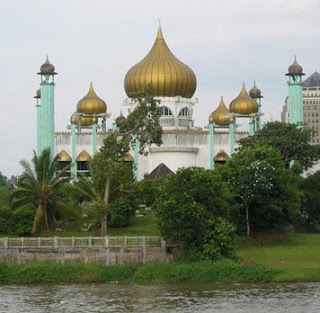 ~ View of Astana, former residence of the Rajah Brooke and now the Governor’s residence. ~ Fort Margherita, built during the reign of Rajah Charles Brooke is now a Police Museum is also on the visit list. ~ DUN (Dewan Undangan Negeri), the Parliament House - this unique building resemble the Melanau tribe hat. 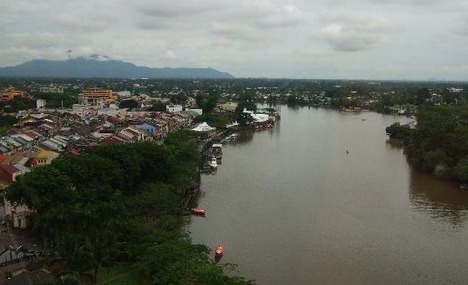 ~ You will cruise by the Satok Bridge before returning to Kuching City. 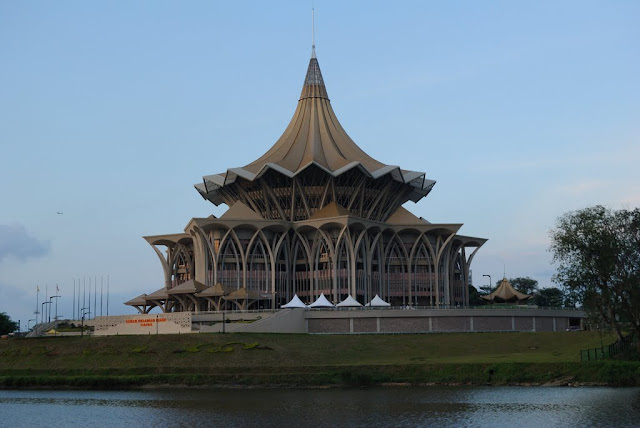 Continue cruising along the Malay village with their daily chores and towards the Sarawak Bureau Convention Center. 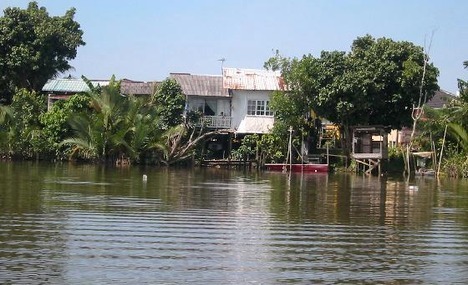 ~ The constant changing of this living scenery gives you the best picture of the history and lifestyles in Kuching. 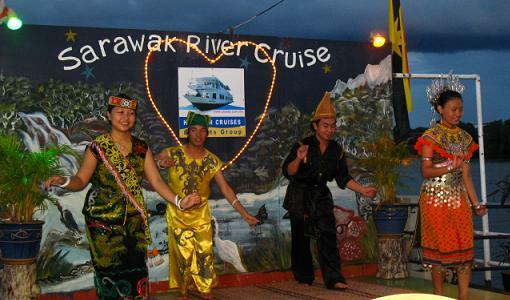 The Sarawak River Cruise offers more than a cruising experience for sightseeing cruise tours, dining cruises and private charters. The unique cruising experience offers panoramic views of the city skyline, the surrounding mountain range, historical colonial buildings and many more of the area's famous landmarks. Be it a private party or a corporate function, you'll find this cruise an unique and worthy experience. 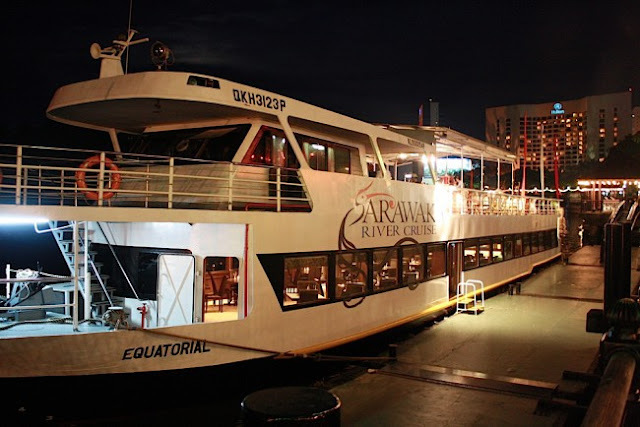 The MV Equatorial ship offers a few packages that are related to sunset viewing inclusive of dining on board. - It starts on 9.45am OR 3.15pm daily. 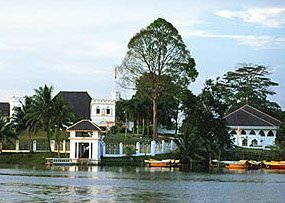 A leisurely cruise to view Kuching with its highlights on Kuching Waterfront, historical buildings, traditional houses built on stilts, and recent developments within the vicinity. - It starts on 5.30pm daily. The most popular cruise for you to enjoy a memorable evening with your loved ones. In addition to the scenic highlights along the river, you will also be entertained by dancers / performed aboard. The best cruise for all types of corporate functions / private charters for guests up to 130 persons / trip. With your choice of buffet menu & themed party such as Hawaiian & Pirates Nite served by friendly crew onboard, you'll find this cruise experience entertaining and unforgettable. 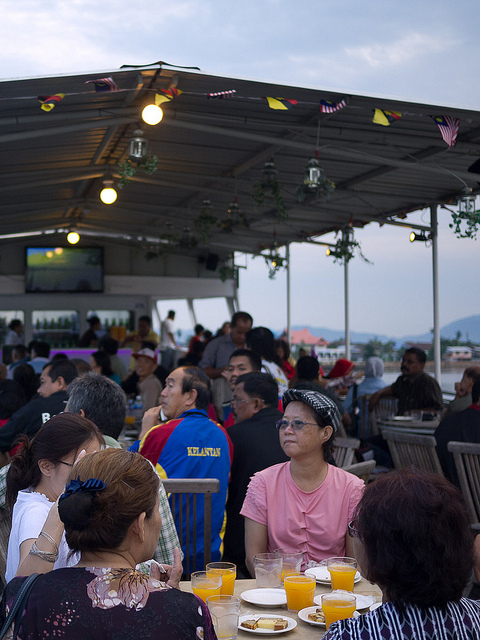 Harbour Cruises Sdn Bhd, a subsidiary of Harbour Cruises & Events Group, is a fully licensed cruise company, which focuses on operating harbour cruises, creative teambuilding, and corporate events in the region. Since its inception in 2000, the company specialises in cruise / yacht management, marine consultancy, corporate functions, themed cruise parties, marine carnivals, and investments in 'relevant joint venture projects in marine tourism. 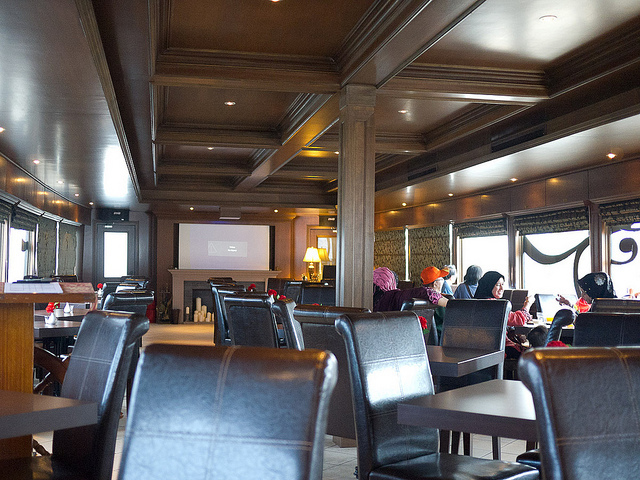 Facilities : Air-conditioned dining lounge, karaoke set, PA system, open-air upper deck, performance stage, souvenirs counter, minibar, washrooms etc. Optional : Buffet menu, Dance performance, MC / DJ, Live band, Magic show, Clown performance, Lucky Draw with Games & Prizes etc. This is a wonderful way of observing Kuching City from a different angle and will give you a feel of how transportation to and from the city was in the olden days before the introduction of modern road vehicles. 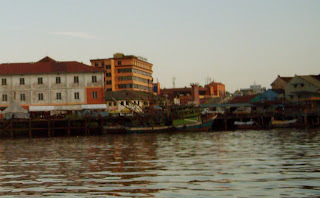 Enjoy the scenic highlights and the best view of the Astana, "Dewan Undangan Negeri", Fort Margherita, historic mosque, Brockets Dockyard, modern high-rises, fishing village, traditional houses built on stilts, densely grown nipah (local palm trees) etc., set against the dramatic backdrop of the inky-blue Santubong and Matang Range of mountains. On most days you will be able to enjoy a scenic sunset from the deck of the cruise ship. If your cruise happens on a Sunday, you will get to see village children splashing along the river or diving from treetops while shouting greetings at you. Add-on RM5 per person for extra 15 minutes cruise duration. * As there's only 1 boat available, do inform the owner if more than 1 boat are needed. Thanks to shared this information.